Polyclonal antibody is a mixture of multiple antibodies from serum of immunized animals. There are several advantages of this kind of antibody, eg, it can recognize more than one epitope, and cause agglutination and precipitation reactions, it is widely used in the fields of immunology and clinical diagnosis. 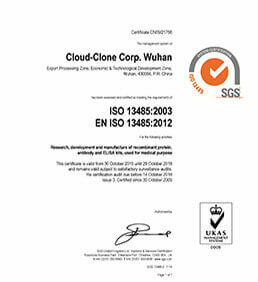 Cloud-Clone Crop. owns animals company which specialized in animal breeding and experiments, we can provide polyclonal antibody prepared from mouse, rat, goat, chicken, rabbit, guinea pig and etc.. 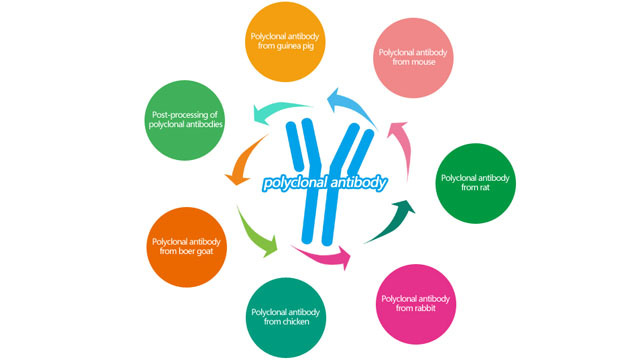 Processes of polyclonal antibody preparation are shown below, and we can also provide personalized customized services for the customers to meet their specific requirements. Antigen from the customers or antigens customized from our company. Choose the type and number of experimental animals. Choose adjuvants: Freund's complete adjuvant or high-efficient complete adjuvant independently developed by our company. Regularly, immunize three times more. Titers are detected by ELISA each time. Choose adjuvants: Freund's incomplete adjuvant or high-efficient incomplete adjuvant independently developed by our company. Depending on the type and number of animals, the final submission amount and titer may vary. According to customer requirements, Protein A, Protein G, antigen-affinity purification and other ways of purification could be provided. 1. 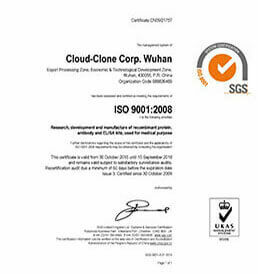 Cloud-Clone Crop. 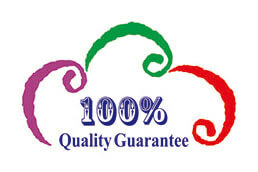 owes animal company which specialized in animal breeding and experiments, mortality rate of animals is less than 1%. 3. Innovative high polymer complete and incomplete adjuvant, the immune effect is 2-3 times higher than Freund's complete and incomplete adjuvant. 5. Protein A, Protein G, antigen-affinity purification and other means of purification method.